The Earthquake and the Flood. According to the prologue to the Zohar, there are 2 malchuts, 2 staging vessels for the Light within the schematic of the Tree-of-life, one at the end of the first 4, or upper, expansions and the second at the end of the bottom 3 expansions, or the 7th–analogous to the 4th and 7th days of Creation. According to the same section, the borders of Shabbat are 2000 cubits, which the Zohar attributes to the Hebrew article, ET (את). 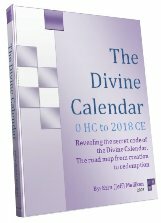 As explored in The Divine Calender and repeatedly in our articles, there’s little that happened in the Bible or in the history of Israel whose dates can’t easily be shown to be interconnected to each other and to both the Hebrew and Western Calendars. On May 18th and 19th, 363 CE, Israel experienced two of its most devastating earthquakes, which is numerically odd in that 363 is the gematria value of H’Mashiach, the Messiah. Nothing happens below that doesn’t happen above spiritually first; nevertheless, a powerful earthquake can be thought of a tremendous judgment from below in the realm of malchut. In 1656 HC, the flood began, this time tremendous judgment from above, though it did wash away nearly everything in the world of malchut. Adding together the Judgment from above and the Judgment from below, we not only get a whole lot of Judgement, but 363 + 1656 = 2019, the year prophesied for the new beginning. 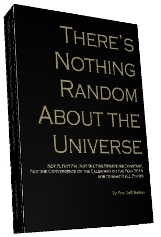 As you can read in There’s Nothing Random in the Universe, there are 2 sets of 4-digit numerical strings reproduced 3 times with the first 1000 digits of Pi, a mathematical improbability to say the least. and what’s astonishing is that those triply repeated numerical strings are 5778 (the year 2018 CE) and 2019, giving us back to back years: 2018 and 2019 CE. What happens when we cross the borders of the 2000 cubits? A hint may lie in the complete numerical value of the Hebrew article, ET (את), the 4th of the 7 words in the Torah’s first verse. The standard value of this word is 401 and its ordinal (or alphabet place value) is 23, giving us a total or complete value of 401 + 23 = 424, the numerical value of Moshiach Ben David. B”H, may He come in His time. Incidentally, the Torah is built on the principle that no energy is ever lost and thus the number 4 is equivalent to all the integers that lead up to it, thus 4+3+2+1 = 10 and 7+6+5+4+3+2+1 = 28 and while the product of the levels of the 2 malchuts gives us 4 x 7 = 28, as in the 28 letters of the Torah’s first verse, the product of their sums, 10 x 28 = 280, is the numerical value of the 5 final Hebrew letters associated with both Judgment and the final days, and also to the time of Moshiach, which B”H will be the new beginning. Ineed to consult you for spiritual assisstance. Previous Previous post: The Tallit is Much More than a Prayer Shawl.